Having won gold in 2015 and 2017, James has become the only man to claim three world championships in the event. 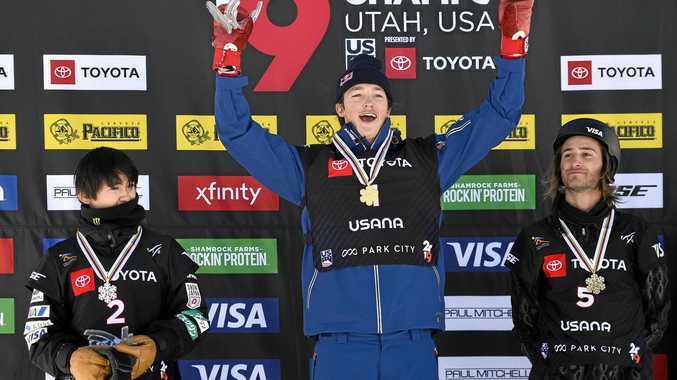 During his first run the PyeongChang bronze medallist scored a whopping 94.25, which remained unobtainable for his rivals throughout the finals. Not content, however, the triple Olympian went one better and put down a jaw-dropping 97.50 on run three. Japan's Yuto Totsuka claimed silver with 92.25 and Patrick Burgener from Switzerland took the bronze with 91.25. James said winning his third title was surreal. "I was pinching myself when I won my second world title and I'm triple pinching myself now that I've won my third one - it's absolutely amazing," the 24-year-old said. "The level of riding was incredible. I was on my toes, I knew those last two guys behind me had a lot in them to pull it together so I just wanted to land that run and do it the way I wanted to, so I'm over the moon." Fellow Aussie and dual Olympian Kent Callister finished fifth with a score of 79.00.